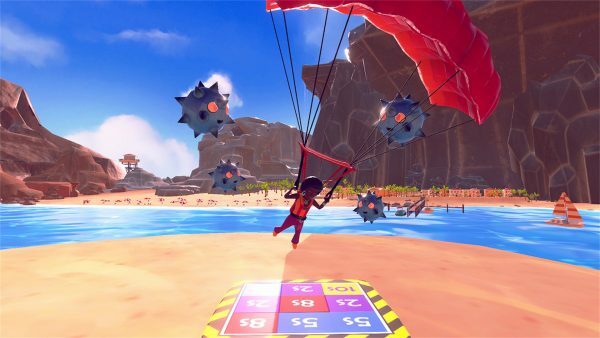 Pilot Sports is brilliant gaming fun for the whole family. Split screen mode and unlockable courses for up to four players, over 50 different courses, a variety of aircraft and challenges provide for all sorts of gaming enjoyment. 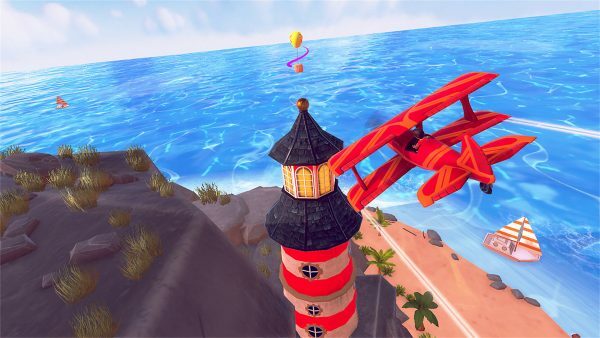 Pilot Sports is a game that lets you fly and glide in a number of ways including jetpacks, hang-gliders as well as planes. The game has different variants like going through checkpoints to keep your timer going or in the case of the jetpack, having to collect items, refuel if needed and head to the finish. There’s nothing wrong with how it’s handled, but some more variety wouldn’t have gone a miss. There’s only split-screen multiplayer as well, which feels like a wasted opportunity. Online surely would have extended the lifespan of the game, giving it more of a competitive edge. The career mode simply wants you to reach targets, there’s no real depth to it, which too is a shame. Visually, Pilot Sports is a bit basic but it does run at a good framerate. The load times are mixed, while the soundtrack is incredibly annoying and worthy of actually muting. I can’t help thinking that different types of flying and gliding, along with more variety in challenges would have benefited the overall experience. Pilot Sports just adds a few different types and they become dull quickly as a result. Sadly, Pilot Wings struggles to take off and it shows.